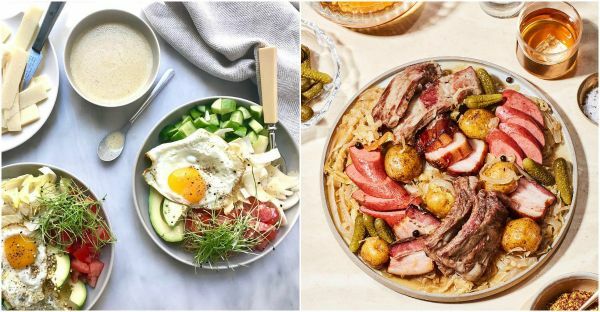 10 Food Instagram Accounts You Need to Follow Now! Vibrant, delicious and well-photographed images of food await you on this account, from shrimps to artisan pizzas to pork roasts. Get following this one if you haven’t already. If beautiful, scrumptious designer cakes are what you’re looking for, then For the Love Of Cake is the account for you! You are surely going to get some serious baking goals post seeing the images. P.S. Look out for their wedding cakes, they’re just marvellous! There are very few people who create a perfect combination of food and aesthetics and one of them is Thomas Joseph. Don’t believe us? Just scroll through his Instagram feed and enjoy the mouth-watering visuals. Food photographer, food stylist, oh-so talented Himanshu has got his gastronomical game on point. Coconut milk hot chocolate, linzer cookies and fudgy cheesecake brownies; he knows just how to make every food lover drool. These original home-made recipes by Tasneem are sure to make your stomach growl and leave you wanting to try em’ all. Of course, we can’t promise you that your own experiment would look and taste just as good. With photos of delicious foods prepared at home by chef and blogger Shweta herself, this food haven gives you glimpses of how yummy food can actually be made at home. Only if it were as easy as it looks. Masterchefmom is the stuff of every desi child’s dream ever! Besides, her colourful account in itself gives you a complete food tour across different tastes of India. Need to eat it all! For insanely impressive food styling, and to truly enjoy the gourmet experience, follow Pooja Dhingra. Trust us, this pastry chef and hip-hop junkie weaves real magic with her culinary skills. For delectable and stylishly photographed doughs, ice-creams, cookies and cakes, follow Gayatri’s amazingly put together, The Dessert Project! This food account has the best food visuals in town! Don’t blame us later for the foodgasm that you get right after scrolling through the appetizing feed! Brb, going to stuff my mouth with all the deliciousness I can find!